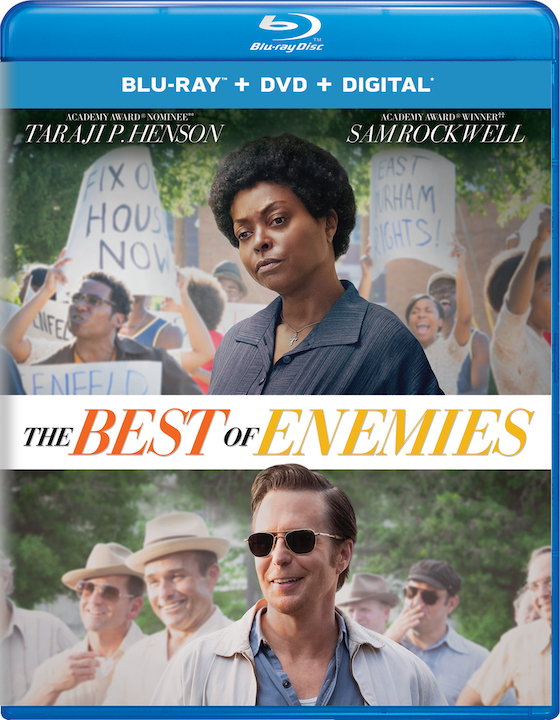 The new film starring Sam Rockwell and Taraji P. Henson called The Best of Enemies is about finding common ground and learning to overcome our differences. Certainly a noble idea that could serve us all quite well in these divisive and contentious times. It's just too bad the film's impact never quite exceed its intentions. The true-life drama tells the story of C.P. Ellis (Rockwell) and Ann Atwater (Henson), one the “Exalted Cyclops” – whatever that is – of the Durham, N.C. Chapter of the Ku Klux Klan, the other an African-American civil rights activist and thorn in the side of every Durham resident who wants things to remain the way they’ve always been. In real life, the two saw past their differences and eventually became best of friends. Lifelong best of friends, in fact. An unlikely story for sure, but as told in The Best of Enemies, it simply isn’t a very interesting one. "An unlikely story for sure, but as told in The Best of Enemies, it simply isn’t a very interesting one"
The year is 1971 in the American south where races still live divided, black and white children still attend separate schools, and grownups see little reason to mingle with those who live on the other side of the tracks. And with the specter of the KKK looming over the town, infiltrating its city council, and intimidating its places of business that allow African-Americans, there’s very little room left over for integration as ordered by the court in Brown vs. Board of Education. That is, until the fire. When the elementary school attended by the town’s black children is damaged in a fire, the city is forced to decide where those affected students will go to school; either make do in their own school devastated by the fire, or become integrated with the students at the white school. Naturally, the town is divided and can’t reach a viable solution. So, in steps the NAACP – specifically Bill Riddick (Babou Ceesay) – with its court-ordered mediation process that will form a special community council to discuss the issues for ten days, and eventually take a vote on the school’s integration. Naturally, Riddick selects the totally incompatible C.P. and Atwater as the quorum’s co-chairs. Cue the toxic relationship. But a funny thing happens on the way to the charrette. C.P. and Atwater, now forced to engage in civil discourse about a shared concern, soon discover that they have more in common with each other than both initially thought. Just imagine that! 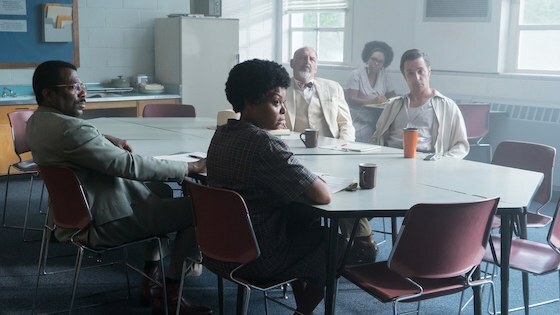 Though Rockwell seems to be pulling from the same place that brought him an Oscar in Three Billboards Outside Ebbing, Missouri, The Best of Enemies simply isn’t written well enough to allow us to buy into C.P.’s sudden change of heart. In addition, it is really difficult to find much sympathy for such a vile, disgusting, contemptible monster. And no, giving him a son with Down Syndrome doesn’t change that. It only brings glaring attention to the laziness of Bissell’s script. But there’s a bigger, more deeply rooted problem that dogs The Best of Enemies. By placing the majority of his story’s focus on C.P.’s sudden change of heart, he is asking us to like his movie about an extremely unlikable character. We are never allowed to spend time with and really get to know Ann Atwater, who was on the right side all along. Atwater was the catalyst for change in Durham. She’s the one we want to learn about. Sure, she could never be described as subtle and undoubtedly possessed very few MLK-like qualities. In fact, the strong-willed activist became known as “Roughouse Annie” in Durham government circles. But Ann Atwater is the one with the story to tell here. And we hardly get to know her. That’s not a knock on Henson’s performance. She is excellent here. As is Rockwell and most of the remainder of the cast, including Anne Heche as Mary Ellis, C.P.’s milquetoast wife, and Ceesay whose physical presence alone very nearly steals every scene he’s in. 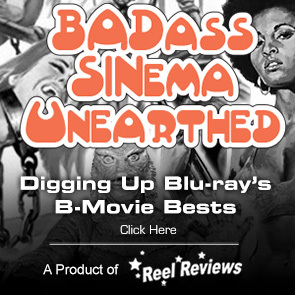 As producer of such award-winning films as Seabiscuit, Pleasantville, and The Hunger Games, Bissell undoubtedly knows a good film when he sees one. Sadly, it’s his lifeless script that lets everything down in The Best of Enemies. He telegraphs his moves and never earns our honest emotions with any amount of genuine heartfelt moments. And though we know where this odd couple story is going before we even walk into the theater, neither the destination nor the journey are particularly all that interesting. MPAA Rating: PG-13 for thematic material, racial epithets, some violence and a suggestive reference. Tagline: Change is worth fighting for. Memorable Movie Quote: "Mama, where we gonna go to school, now?"